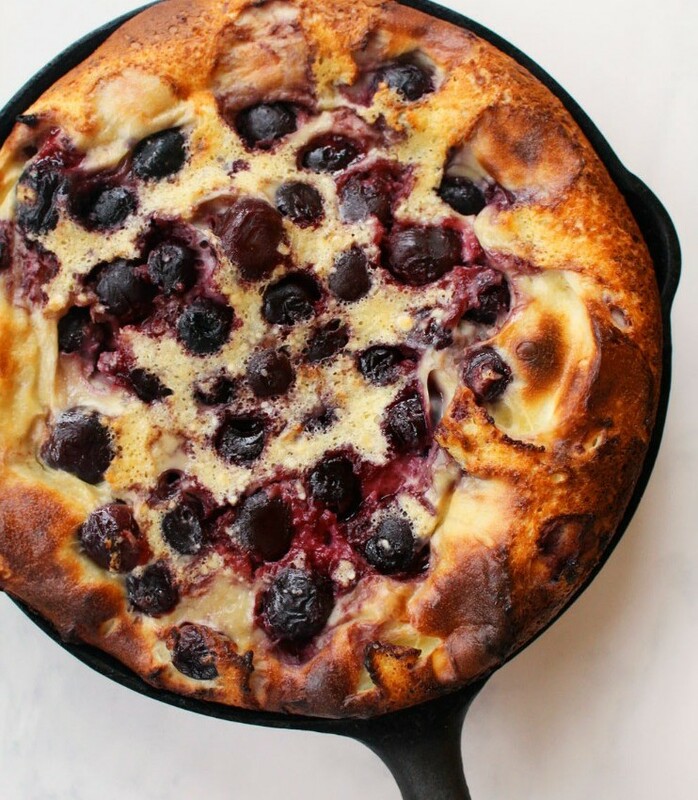 1Preheat the oven to 400°F and butter a pie plate, gratin dish, or 9-inch cast iron skillet. In a large bowl, whisk together the eggs, milk, sugar, and vanilla, or combine in a blender and pulse until smooth. Add the flour and salt and blend again until smooth. Pour into the buttered dish and scatter with cherries. 2Bake for 30 minutes, until slightly puffed and golden. Sprinkle with icing sugar and serve warm, in wedges. Serves 6.